Supplement smoothness. This patented complex is clinically proven to reduce the appearance of fine lines up to 34% in five weeks. Glucosamine, amino acid complex and Vitamin A work to boost collagen production and stimulate healthy cell function while promoting skin clarity and tone. 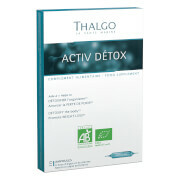 Take two tablets in the morning and two in the evening preferably with meals, or as directed by a physician. I can’t really tell yet to be honest. But I will tell you this. It definitely makes your system go. So I’m thinking it detoxes you from the inside. I’m going to try another bottle after this, so maybe then I’ll notice something. Will let you know on the next post. If only in Capsule Form. 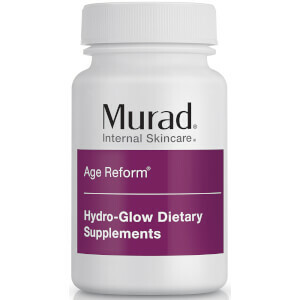 I am not thrilled with Dr. Murads line of skincare products, but I have been very pleased with his formulations of nutritional/herbal supplements for various skin conditions. I have been able to control years of cycstic acne, without accutane. (Thank God!) And this product seemed to really nourish my skin and even out the tone and texture. There is less "slack" and I am still casting between 22-26. :) (and I am roughly...5 or 7 or...a tad older than this!) And no questions asked by casting directors! ;) But I think many items from skinstore are also to compliment for the acne/anti aging help. Finding MD Forte Glycare products was such a blessing. A great price for so much care! I love the stinky TNS SkinMedica serum! The Peter Thomas Roth Eye Cream/Pump has allowed me to consider holding off on botox a few more months...or more. I would have given Murad 5 stars, but I am a person with poor absorption levels, as many women who have dieted most of their lives. I would like to see his products from organic sources, the Pharmecuetical grade of each active constitute listed, some enzymes thrown in to aid in the breakdown and assimilation of the nutrients, and preferably in a (vegetarian) gel capsule, or liquid. Doc, Please think about it. I've also spent years in the "holistic" health industry and know that it may be a tad more of a cost, but it would take a really good product line a really great incredible product line! I guess the only thing I would recommend is that people take the supplements with food when they eat. This is known to help in the break down and assimilation process of tablet formulations! xoxo, GG.